Drs. 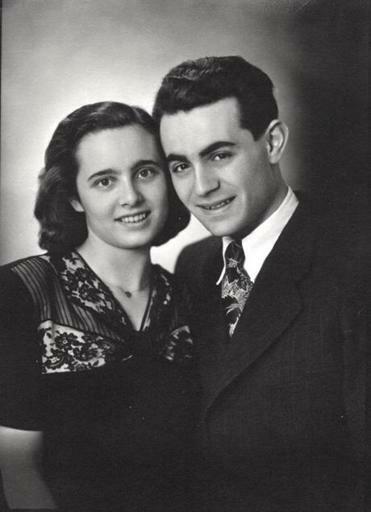 Paul and Anna Ornstein in 1948. Over his many years of friendship with the Lexington author Helen Epstein, Dr. Paul Ornstein discussed his experiences as a Jewish youth in pre-Nazi Hungary and losing most of his family in the Holocaust. They also spoke of his pioneering work in psychoanalysis after immigrating to the United States with his wife, Dr. Anna Ornstein, in the 1950s. These topics are covered in the 91-year-old Brookline resident’s new book, coauthored with Epstein. “Looking Back: Memoir of a Psychoanalyst” was published by Lexington-based Plunkett Lake Press. According to Anna Ornstein, 89, who answered a Globe reporter’s questions with her husband, the basis for the book was an autobiography that Ornstein wrote for a German publication in 2007. Epstein greatly expanded the text, while Anna Ornstein tracked down dozens of historical photographs. The Ornsteins, who met as teens, were married in 1946 after Paul escaped from a Hungarian forced labor battalion and Anna survived Auschwitz. With the exception of his father and her mother, the rest of their families perished. The Ornsteins, who attended medical school alongside former Nazis in postwar Heidelberg, Germany, became naturalized American citizens in 1956. They emerged as leaders in the psychoanalytic self-psychology movement. Anna Ornstein estimates they each published 100 papers in professional journals.